Tonight kicks off the next installment of the second season of the Process creativity talks, a collection of panel discussions on creativity in its many forms held between the UNO Writer’s Workshop and the Kaneko/UNO Creativity Library in the Old Market. Staff member Melinda Kozel gave KVNO the rundown of tonight’s discussion topic. Tonight’s speakers include Jon Cavanaugh, a Neuroscience and Behavior PhD student studying the science of love. There’s also Susan Koenig, founding partner of Koenig|Dunne Divorce Law who also serves as an executive coach, speaker, and writer. Next is Jes Liberatore, an MFA student at Creighton University, and Pam Weise, vice-president of the Nebraska Humane Society. All of the speaker will bring their different perspectives on the topic of love and creativity. Kozel said that it was important to bring in speaker from a variety of different vocational backgrounds. The evening’s moderator, UNO Writer’s Workshop Professor Anna Monardo, said that the discussion series has provided many individuals with differing perspectives and engaging thoughts about how we use creativity in our day to day lives and occupations. “The discussions of process in a discipline other than your own can act as a kind of metaphor to illuminate for you how you might proceed in your own field,” Monardo said. The second installment of the Process creativity talks is this evening, January 28th, from 5:30-7:30 p.m. held inside the Kaneko/UNO Creativity Library on 11th and Jones St. A Q&A with audience members will follow the panel discussion. 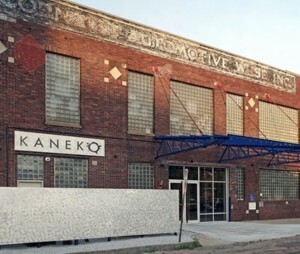 For more information on the discussion series, visit www.library.unomaha.edu/kaneko.